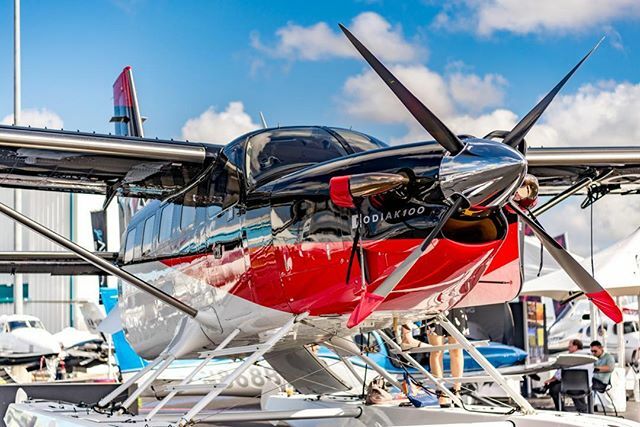 Quest Aircraft is seeking to broaden the customer base for its Kodiak 100 single-engined turboprop with the expansion into the special missions market. Rob Wells, chief executive of the Sandpoint, Idaho–based airframer, says the utility aircraft has found a successful niche in the charter, commercial short-haul, corporate, and cargo markets, but its unique features make it an ideal platform for other applications, such as law enforcement, surveillance and military transport. “We have been working on a concept for a year now, and there is no shortage of interest,” he says. 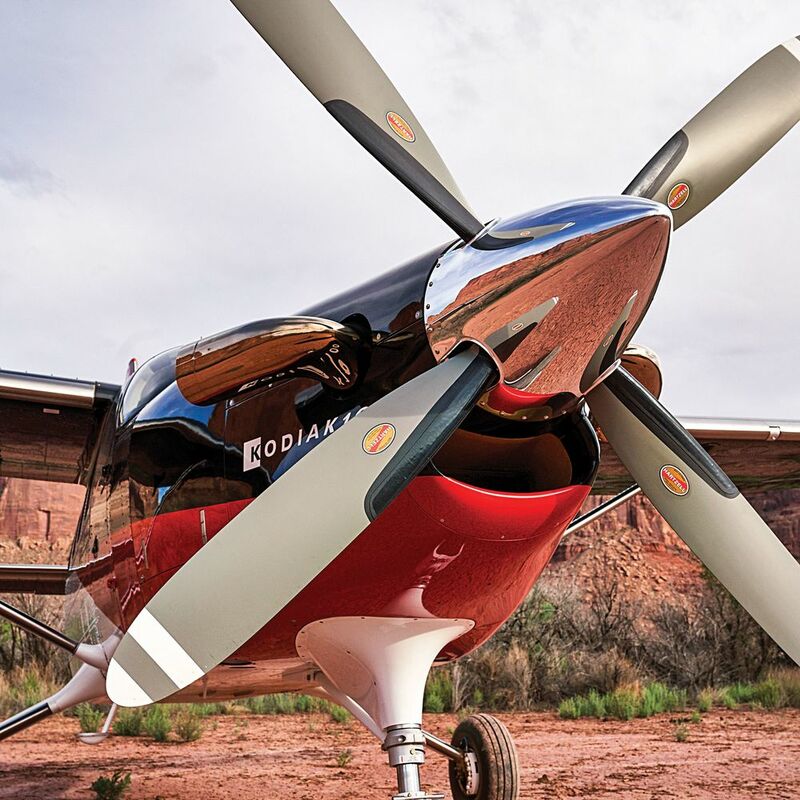 The Kodiak’s appeal comes from a host of features including its wing, which has a discontinuous leading edge, giving it “fantastic” low-speed performance. The Kodiak’s high-wing loading also creates a stable platform – a necessity for a surveillance operation. The Kodiak’s cargo pod can store sensors, and its large cargo door allows for the easy transfer of equipment, while the large windows are “ideal”, Wells says, for an observation role. The aircraft also has a 9.5h loiter time. In April, Quest introduced the second-generation version of the Kodiak – powered by Pratt & Whitney Canada PT6A-34 – and Wells says response to the aircraft has been “overwhelming”, with 10 examples delivered to date. The Series II has a host of new enhancements and equipment, including Garmin’s next generation G1000NXi flightdeck; additional storage in the cockpit; a restyled cargo doorstep to “reduce weight and improve functionality”; and improved fuselage seals to provide “even better” soundproofing and cabin ventilation. Since its introduction in 2008, Quest has incorporated over 200 enhancements into the short take-off and landing Kodiak, including the introduction of two new interiors; an increased landing weight; and the integration of the Garmin GFC 700 automatic flight control system. FlightGlobal’s Fleets Analyzer database records a global fleet of more than 255 of the all-metal aircraft. The company shipped 31 examples in 2017. Propeller Hartzell, aluminum four-blade, 96 in. Length 34 ft. 2 in. Height 15 ft. 3 in. Interior width 4 ft. 6 in. Wing area 240 sq. ft.
Wing loading 30.2 lb./sq. ft.
Max gross weight 7,255 lb. Max ramp weight 7,305 lb. Max usable fuel 315 gal. Max operating altitude 25,000 ft.
Takeoff over 50 feet 1,467 ft. Landing over 50 feet 1,508 ft. The view from the Quest Kodiak’s cockpit seems odd and mildly unnerving, although it’s precisely the kind of situation the rugged short-takeoff-and-landing airplane is built for.